The Master Charts that follow should help your gardening efforts. The charts for grains, compost crops, trees, and other crops provide a picture of what you can accomplish in your own backyard or small farm-holding. (Also see Ecology Action's Backyard Homestead, Mini-Farm and Garden Log Book.) Additional information about special seed sources and harvesting, cleaning, grinding, storing, and preserving these crops will be included in the future. The charts are largely based on our many years of experience and are generally complete and accurate. You may not reach maximum yields in the first year. Also, one plant, grown alone, will probably not produce as large a yield as one plant grown among several plants under mini-climate conditions. Seeds grown out of season will take longer to germinate and/or may decompose before they do germinate unless grown under special mini-greenhouse or shade netting conditions. You may need wider spacings in the humid tropics during the wetter months. One of the exciting things about the grow biointensive method is its emphasis on the soil. Once you know how to prepare soil well for vegetables, a whole world of crops becomes available to you. The bed preparation, fertilization, and watering approaches remain essentially the same—only the plant spac-ings are different! 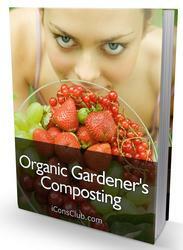 compost, organic matter, and fodder crops. Some compost crops, such as pearl millet, sorghum, and corn, can produce very high yields of biomass and should be fully recycled through composting whenever possible to minimize the potential for soil depletion. energy, fiber, paper, and miscellaneous crops Eventually, we hope to add tree crops for fuel and building materials. If you seek more information than is contained in these detailed charts, refer to the books listed in the bibliography. There is a convenient soil improvement succession that is good to know. vegetables from one year improve soil for grains the next year, and this leads to soil that supports more permanent tree crops the third year. If you want to study this process more closely, see Ecology Action's Backyard Homestead, Mini-Farm and Garden Logbook crop-testing chapter for vegetable, grain, fodder, and tree crops, and read our "Soybean Test" booklet. I am arguing against indiscriminate conversion of biomass and organic wastes to fuels. The humus capital, which is substantial, deserves being maintained because good soils are a national asset. The question will be raised, How much organic matter should be assigned to the soil? No general formula can be given. Soils vary widely in character and quality. Growing crops must be approached, then, with a sensitivity to how the way they are being grown affects the sustainability of the soil's vitality and health. Understanding this proper relationship will take time and eventually will involve growing many different crops, including a large number of trees. Trees beneficially modify our climate, bring up and make available nutrients from deep down in the soil, protect the soil from erosion, help maintain healthy water tables, and provide us with food and building materials. Microbial life-forms thrive and greatly increase in activity when the nighttime air temperature reaches a minimum of 60°F. The next time you go out in the morning early in the season and notice that your garden has grown a foot overnight and is a darker, lush green, check the previous night's temperature. You may be surprised! 32° F: Nitrogen release begins in the soil. 50° F: Significant nitrogen release occurs in the soil. 86°-95°F: The maximum nitrogen release point is reached in the soil. 90°F: The pollination process begins to decrease. 95°-104°F: A significant decrease in nitrogen release occurs in the soil. 10. V. T. Aaltonen, Boden und Wald (Berlin: Parey, 1948). Note grow biointensive techniques can be used to grow important protein crops. Experiments with wheat, soybeans, grains, beans, and other seeds have worked well. For information on how to grow your own open-pollinated seeds in the smallest area while preserving genetic diversity, see Ecology Action's Self-Teaching Mini-Series Booklet Growing to Seed. bibliography if you want to pursue this further. Be sure to explore growing compost crops in between your trees to increase the soil's friability and its nitrogen and organic matter content. Try medium red clover. It has beautiful red flowers. Increasingly, more people want to grow food. One hundred square feet of grain may yield 4, 8, 12, or more pounds of edible seed. If you are in a cooler climate and wish to grow beans for eating, try varieties such as the peanut, yellow-eye, and cranberry beans available from the Vermont Bean Seed Company. Dwarf fruit trees, if nurtured properly, can yield 50 to 100 pounds of fruit annually at maturity. Two trees on 8-foot centers in 100 square feet can have a combined yield of up to 200 pounds, and the average person in the United States eats only about 162 pounds of tree fruit per year. Fava beans may yield the greatest amount of organic matter. Alfalfa and clover are also fun to raise as nitrogen-fixing legumes to improve your soil's fertility. our goal with wheat is to eventually get 2 26-pound crops in an 8-month period. This would yield 1 1-pound loaf of bread for every week in the year from only 100 square feet! Then we could literally raise our own bread in our backyards. Sound impossible? Yields close to this are already occurring in some parts of the world. Wheat can be threshed easily with a mini-thresher11 made available by a public organization in your area. our highest wheat yield to date is at the rate of about 21 pounds per 100-square-foot bed, using about 10 inches of water for the whole season, with compost we grew ourselves for fertilizer and a small amount of purchased organic fertilizer. The Zulus in South Africa use a technique similar to the grow biointensive method and grow grains with natural rainfall. See what you can do! Let us know if you get to 26 pounds— and tell us how you do it! When planning your garden, remember to look closely at all the factors involved. For example, sesame seeds are very high in nutrition, but they usually have low yields (compared with other protein crops), are somewhat difficult to harvest, and exhaust the soil. So on a per-square-foot, sustainable nutrition yield basis, sesame seeds are not particularly superior to other protein sources, even though they are great nutritionally and good to eat. A large harvest of sesame seeds would also require a very large growing area. It is important to examine each crop's total practicality. When you begin to produce intermediate yields, another factor to consider is the quantity of nutrients each crop takes from the soil. Many "heavy givers" of nitrogen can exhaust the soil of other nutrients over time. Soybeans are "heavy giving" legumes, but continuous cropping of them has been demonstrated to wear out the soil. It is important to develop and work within natural sustainable cycles. 11. One good foot-treadle-powered mini-thresher is available from CeCe Co., P.O. Box 8, Ibaraki City, Osaka, Japan. What fruits, vegetables and grains are growing in vermont? HOW TO GROW SESAME SEED? When to plant vegetables chart? 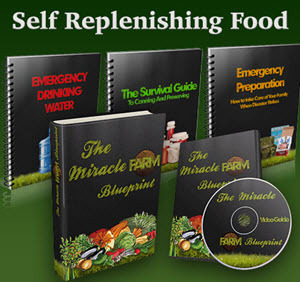 How to start my own organic vegetable farm? What plants, vegetables, grains, and fruits are farmed in japan? How to grow more vegetables master charts? Do trees need more nutrients than grain plant, university of?